Frasera umpquaensis (Umpqua green gentian) is a tall, tap-rooted perennial plant that is endemic to Oregon and northern California. 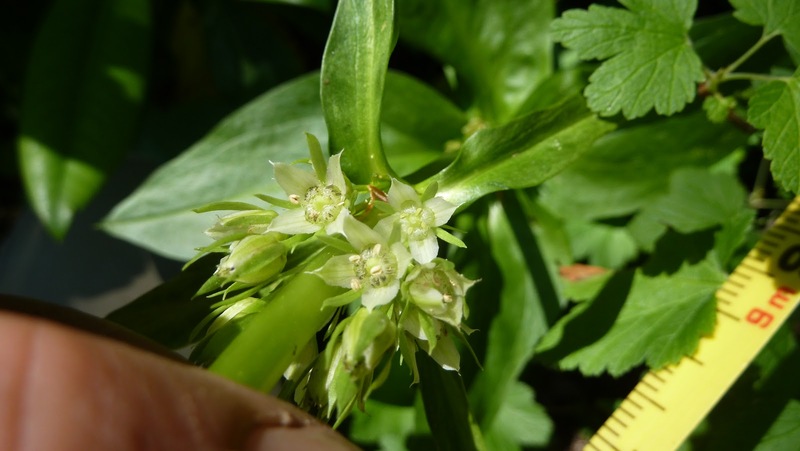 Although there are populations of Umpqua green gentian in southern Oregon that appear to be healthy in size and distribution, there are five peripheral populations along the Calapooya Divide that have struggled with seedling recruitment and are experiencing significant population decline. 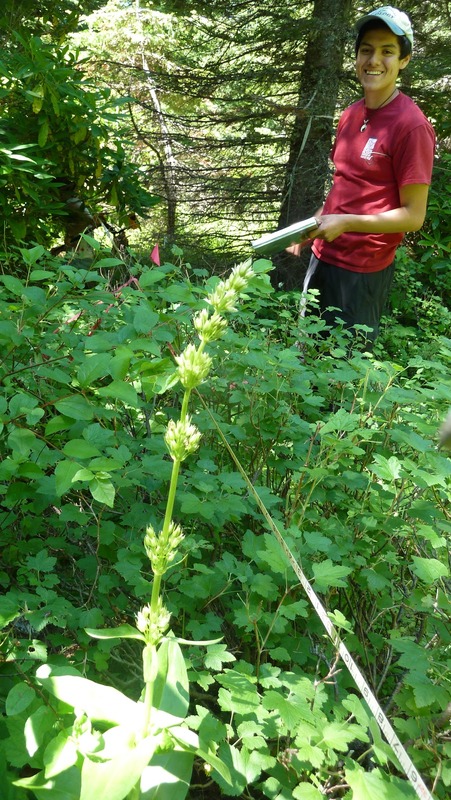 The Institute for Applied Ecology, in partnership with the Bureau of Land Management (Eugene District), has been studying these peripheral populations through greenhouse and field treatment experiments. F. umpquaensis is a long-lived species that exhibits synchronous flowering of plants every 3rd or 4th year. It is believed that some individuals have lived for up to 80 years. 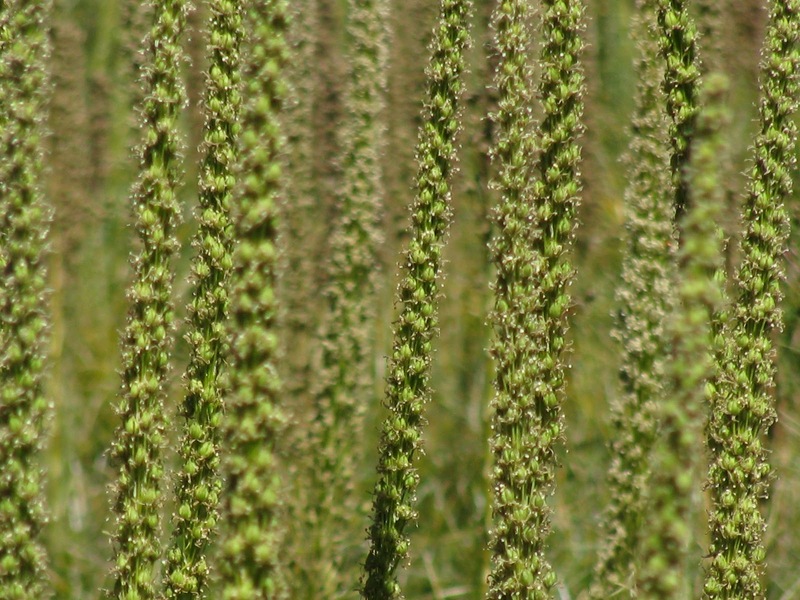 The stalks of reproductive plants can attain a height of over one meter and they produce a panicle of short, clustered white flowers. Vegetative plants appear as rosettes of lanceolate leaves and reproductive plants produce flowering stalks that are best observed in July and August. Reproductive individual along a monitoring transect. The Umpqua green gentian was identified as a candidate for protective designation over a decade ago. A Conservation Strategy was created identifying examination of seed production and seedling recruitment as high priorities. IAE has established several different experimental treatments and monitoring schemes at the populations along the Calapooya Divide. It is likely that habitat in the area is much different from what it was when the plants first became established there. The canopy has thickened due to the lack of natural disturbance, litter levels have increased, and, most importantly, the average winter temperatures have been affected by changes in climate. To test the effects of habitat factors, experimental plots were created to determine whether seedlings' success rates can be correlated with litter levels, canopy cover, soil moisture, or exposure angle. Annual monitoring activities include examining plant health and abundance in experimental treatment plots, monitoring naturally occurring individuals along transects, and using spherical densiometers and a solar pathfinder to determine canopy cover and solar radiation exposure at selected plant locations. Flowering stalks of Xerophyllum tenax individuals at a Frasera umpquaensis site. Analysis of data from several years of monitoring has indicated that, contrary to initial expectations, population success of F. umpquaensis is less effected by site-specific habitat conditions and more greatly influenced by broad climate factors. Results suggested that removal of litter and variation in canopy cover did not have significant effects on seedling recruitment. The most important habitat factor appears to be exposure aspect. Plants located along the forest edge with northern exposure had noticeably higher survival rates. Areas with northern exposure represent slightly cooler microclimates, which is consistent with the climates where most F. umpquaensis populations are found. Two years of seed studies and germination experiments concluded that seeds produced at the Calapooya Divide populations are viable and are capable of germinating under experimental conditions. These are encouraging observations but they serve as an indicator that changes in climate conditions may be the cause of the population's decline. The primary threats to these populations are human-caused disturbances (such as ORV use) and increasing winter temperatures. IAE and the BLM will continue research and management activities to better identify the causes of population stress and to prevent damage from human recreation activities.